1. $99 portrait sessions available every day , Sunday through Saturday , from 8am to 8pm (Closed major holidays) at our studio in San Francisco, CA. We guarantee one image to be done to your satisfaction for our $99 fee. We are done in about one hour. Sales tax will be added to all sales. We accept Cash (USD), Visa, Master Card. Images on DVD released after payment in full. Please read *** HOW TO PREPARE FOR OUR SCHEDULED PHOTO SHOOT: below in blue. Please come in ready to shoot. 2. By EMAIL appointment only (sorry we do not “pencil in” appointments). If you agree to our five terms of service, please email to schedule your session. We will confirm our appointment and email our San Francisco address to to you. Cancellation fee is $50, if appointment is canceled within 24 hours of scheduled session. By default we shoot against a white background. Two outfits per $99 session. 3. You will have all the JPEG images from our session on DVD. Satisfaction guaranteed. You take this DVD home- it is yours. Signing of any legal document/title (non-disclosure and/or non-exclusive title and/or exclusive copyrights title), is $100 per signature or document. Prints and/or enlargements are not included. Hair and make up not included. PhotoShop (enhancement) not included. Default digital files are JPEG, color (Lossy-RGB), 3456 x 2304 pixels, 72 dpi and 2.9 megabits in size. Digital images (jpegs) are on file (hard drive) for 30 days. After 30 days , all digital files are deleted. Please be on time. Please come in ready to shoot. 4. PhotoShop modification from default JPEG is $25, per image. All modification instructions must be in writing, by email reply. Please allow three business days per image. PhotoShop must be prepaid. We guarantee one PhotoShop image to be done to your satisfaction. Prints 4×6 available for $25 each. Enlargements 8×10 are available for $50 each. We can sell USB Flash drives (4GB) for $15 each. 5. We can shoot outside our studio. Our travel-location photography fee is $500, for San Francisco Bay Area. We add two hours shooting time for three San Francisco locations. We require a 50% retainer/deposit ($250) to secure this service. If you like, we can pick you up and drive you to the locations in SF. Thank you for choosing our photography service! As you can see, we love our clients! We are here to help. We guarantee our work – Your satisfaction is required! We shoot with a digital Canon SLR camera (no 35mm) . We download your color images immediately into a desktop PC computer for your inspection and approval. $99 is the cost per one session. Two outfits per session. Our session should be done in about one hour. When you leave, you will have all the images we have shot on DVD-ROM. We collect our $99 fee , when you are happy with one image from our $99 session. Photo sessions available by email appointment only ( closed major holidays) at our studio in San Francisco, CA. By default we shoot against a white background in our San Francisco studio. Photoshop enhancement/modification is available for $25 , per image, additional. We can change file type (PGN, PDF, GIF, TIFF, CMYK), DPI (dots per inch) , crop, remove color (black and white or sepia), remove blemishes, remove wrinkles, enhance eye color. We can add text, logos. We can add an outdoor background, indoor background or texture or color. Again our fee is $25, per image. Please allow three business days for rendering turnaround per image. Our travel-location photography fee is $500, for San Francisco Bay Area. This includes two hours shooting at three SF locations. We recommend Fort Point, Legion of Honor, Golden Gate Park Windmill. All images that are created are yours to keep on DVD. Most of our clients do their own hair and make up and styling. You can bring your own stylist if you like- however please come prepared to shoot A.S.A.P. We can schedule a makeup/stylist artist for an additional fee of $500. Please note- our makeup/stylist artist has limited availability. 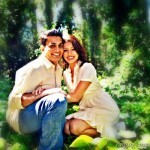 By default USA copyright law, all images created are the intellectual property of SF Engagement Photo Studio. We can sell exclusive copyrights for $100 per client. We can sign any legal document/title (company non-disclosure and/or non-exclusive title and/or exclusive copyrights title), for a fee of $100 per signature, per document. 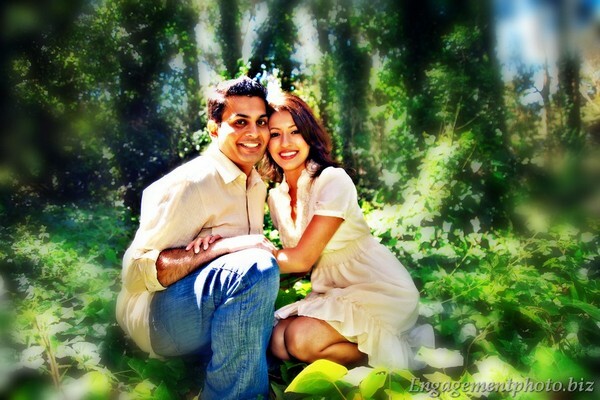 TO RECAP OUR FEES: SF Engagement Photo Studio session is $99 plus tax. We charge additional fees for the following: travel-location photography fee is $500. Rendering (photoshop digital modification) per image is $25.00. Signed document (Absolute copyrights-nondisclosure) per client is $100.00. 8×10 prints at $50 each. Cancellation fee is $50, if appointment is canceled within 24 hours of scheduled session. Please try to be on time, as we may have other clients scheduled in the day. We need approximately one hour of time. Approximately 30 minutes shooting and 30 minutes downloading and burning DVD and/or USB Flash drive. Get a haircut , shave , and shower. Eat and exercise if you can. Get a good nights rest. No drinking alcohol or smoking please. Practice kissing , dancing, holding hands, PDA, and smiling. Please bring complete outfits. We recommend wearing what makes you feel comfortable. You can bring props. Prepare your clothes and outfits the night before. All images that are created are yours to keep on DVD.